Pen Drives are very handy portable storage devices and they are the most convenient and easiest way to transfer data from one place to another. This is because it is very small in size and has decent storage capacity. Now you can find pendrives having capacities of 32GB, 64GB and it can even go to up to 128GB or higher. But it is no point of getting a pendrive with much higher capacity because they are expensive and in that price you can find good external hard disk which is much faster and durable than a pen drive. A 32GB pen drive is more than sufficient for your data storage or transportation need as it exhibits a perfect balance between price, performance and storage capacity. So here in this post I am going to list down the best high speed 32GB pen drives under 1000 rupees having USB 3.0 connectivity that you can buy in India but first may want to look at some of the important article on pen drives in this blog. The main benefit of getting a USB 3.0 pen drive is that it offers much faster read / write speeds as compared to the USB 2.0 pen drives. USB 2.0 pen drives are relatively slower and they take too much of time for transferring data especially from Computer to Pen drive. But here it should be noted that you will need a USB 3.0 port for USB 3.0 Pen Drive to work on its maximum speed. Also it is better to buy a USB 3.0 Pen Drive even if you have got only USB 2.0 ports on your computer. This is because USB 3.0 pen drive performs much better even in USB 2.0 ports compared to the USB 2.0 pen drive. Let’s get started with the list of best 32GB pen drives in India. Here are the best high speed USB 3.0 Pen drives having 32GB storage capacity. These are the normal pen drives and not the dual USB OTG pen drives. All these USB 3.0 pen drives are backward compatible with USB 2.0 port. SanDisk is the world leader in Pen Drives or Flash Drives. It is the one company that sells most pen drives especially in India. 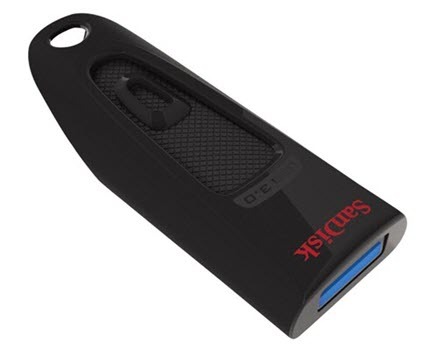 Here from SanDisk we have SanDisk Ultra USB 3.0 Flash Drive. This is a high performance and high capacity pendrive from SanDisk that is available in sizes up to 256GB. This is a stylish pen drive that has the sliding mechanism for USB connector to come out. This 32GB pen drive is sturdy, portable and offer your Read speed to up to 100Mb/s. This pen drive is about 10 times faster than a traditional USB 2.0 pen drive. You can get write speed of around 65MB/s which is much faster than the USB 2.0 pendrive. SanDisk Ultra USB 3.0 Pen Drive comes with SanDisk SecureAccess Software to keep your data safe and secure using password and 128-bit AES encryption. This high performance USB 3.0 pen drive is suitable for storing MP3s, movies, photos and your personal data. 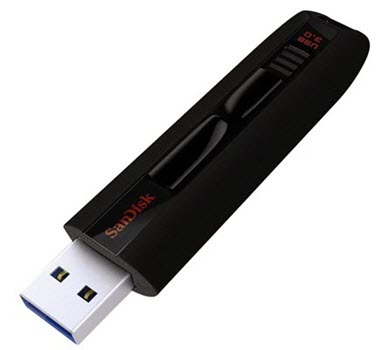 You can get the 32GB version of SanDisk Ultra USB 3.0 Pen Drive under 1000 rupees in India. Highly Recommended by me. SanDisk Extreme USB 3.0 Flash Drive is a high speed USB 3.0 pen drive which is faster and expensive than the SanDisk Ultra USB 3.0 Pen Drive. This USB 3.0 pen drive is available in capacities to up to 128GB. SanDisk Extreme USB 3.0 Pen Drive has one of the fastest read / write speeds in pen drives category. It has Read Speed of up to 245 MB/s and Write Speed of up to 190 MB/s. This 32GB pen drive also comes with SanDisk SecureAccess software which lets you protect the folder in your pen drive using password. This pen drive is a bit expensive and costs around 2000 rupees for 32GB variant, but if you are the one who do not compromise on performance and want a super fast pen drive with blazingly fast read / write speeds then you should definitely get this one. This is an ultra-portable USB 3.0 capable 32GB Pen Drive from SanDisk. It is a nano pen drive and you can only see the USB connector of the pen drive because it is such small in size. SanDisk Ultra Fit USB 3.0 Pen Drive comes in capacities to up to 128GB and has Read Speed of up to 150 Mb/s. The write speed is around 50Mb/s which is quite good for a pen drive of this size. This nano 32GB pen drive comes with its transparent plastic cover for its protection. It also comes with the SanDisk SecureAccess software to password protect your files with 128-bit AES encryption. So if portability is your main concern and you want a high speed USB 3.0 pen drive then you should definitely buy this one. Sony is a company that is very popular and makes high quality electronics products. 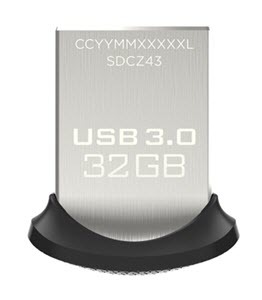 Here from Sony we have Sony USM32X/BZ X Series 32GB USB 3.0 Pen Drive which is Microvault X Series USB Flash Drive from Sony. This USB 3.0 Pen Drive from Sony comes in capacities of 8GB, 16 GB, 32 GB, and 64 GB. The claimed data transfer rate of this Pen Drive is 110 Mb/s which is quite good. It is the reading speed only as it cannot have that much writing speed. This Pen drive comes with a detachable cap that can be removed and attached to the end when you want to plug it in the USB port of the computer. The pendrive supports Windows 8, Windows 7, Windows Vista Mac OS X 10.4 and can be bought under 1k rupees in India. So if you are a fan of Sony then you can surely have this 32GB USB 3.0 pen drive for your data transfer needs. Note: There is another model Sony USM32GX X which is almost same as this pen drive from Sony. 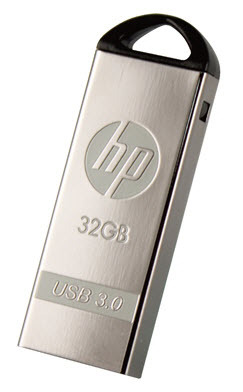 A stylish looking metallic USB 3.0 Pen Drive from HP. The pen drive is robust because of the metallic casing. There is a clip on the back of the pen drive which can be used to hang it on pocket or a tie. The performance of this pen drive is average with good reading speed of up to 100MB/s and average writing speed of around 40MB/s or so. This USB 3.0 pen drive comes in capacities of 8GB, 16GB, 32GB and 64GB and you can get is at around 1.2k rupees in India. Note: All HP Pen Drives are manufactured by PNY company. 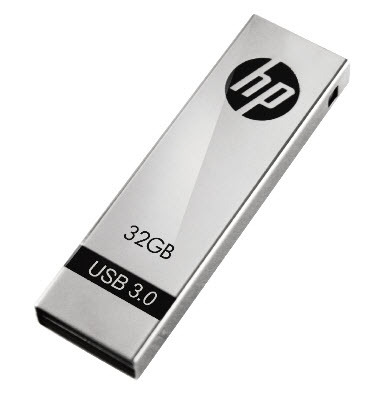 Another USB 3.0 pen drive from HP. It is a full sized pen drive and it comes with the plastic cap for protection. It is available in capacities up to 256GB. The 32GB version of this Pen Drive has minimum read speed of 42MB/s and minimum write speed of 23MB/s. The higher variants of this pen drive i.e. 128GB and 256GB have much better reading and writing speeds. This 32GB pen drive is average looking but has good build quality. You can get this 32GB Pen Drive at around 1000 rupees in India. A tiny little USB 3.0 Pen Drive from HP. HP x715w Pen Drive has cap-less design and has metal finish on its body. It comes in capacities to up to 128GB. HP x715w 32GB Pen Drive has minimum reading speed of 75MB/s and minimum writing speed of 30MB/s which I think is pretty good. You can get this 32GB pen drive at around 1100 rupees in India from the link given below. 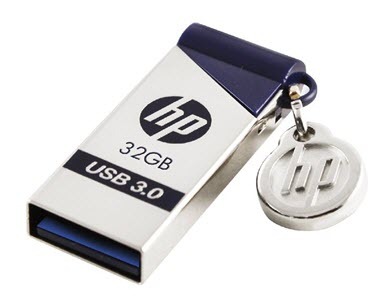 A durable and metallic finish 32GB pen drive from HP having USB 3.0 connectivity. This Pen Drive has minimum reading speed of 75MB/s and minimum writing speed of 30MB/s. This pen drive is available in capacities to up to 128GB. 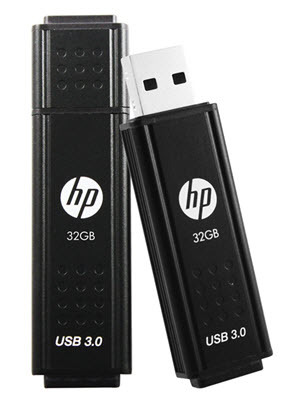 This pen drive is almost similar to the other HP Pen Drives and it is available at around 1.1k rupees. 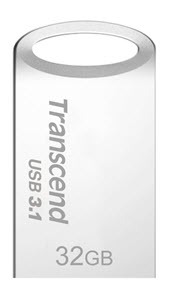 Transcend is one of the largest manufacturers of memory and flash drives in the world. They are known for their high performance and durable products. 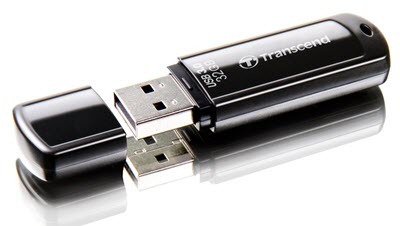 Here from Transcend we have Transcend JetFlash 700 which is a traditional looking Pen Drive that supports USB 3.0. This Pen Drive has decent Read and Write Speeds of around 100MB/s and 30MB/s respectively. The build quality of Pen Drive Is pretty good and there is a LED indicator to indicate the data transfer activity. This comes in very handy because you can know that pen drive is plugged in successfully and whether data transfer activity is going on or not. The cap on the top protects the pen drive from damage and water. So if you want a good 32GB pen drive from Transcend then you can surely go with this one. You can get it under 1000 rupees from the link given below. This is a tiny pen drive from Transcend. This pen drive is a bit ahead of others because it supports the latest USB 3.1 standard. Transcend JetFlash 710 is a strongly built pen drive having sturdy metallic structure. The performance is top notch with very good reading and writing speeds. This pen drive is available in storage capacities of 8GB, 16GB, 32GB and 64GB. It supports almost all major operating systems including Windows, Mac OS and Linux. The price is a bit on higher side and you can get this high quality pen drive at around 1500 rupees in India. 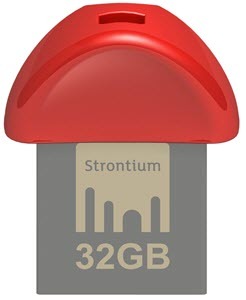 A nano USB 3.0 pen drive from Strontium that makes high quality computer memory and flash memory products. This is a high quality and high performance nano pen drive from Strontium. The metal body makes it robust and coming to performance this pen drive has got Read speed of 130MB/s and Write speed of around 100MB/s. If you are looking for a super nano 32GB pen drive then this one is you should get for yourself. You can get this pen drive at under 1000 rupees from the discounted link given below. In this post I have listed down the best 32GB USB 3.0 Pen Drives that offers excellent performance and are quite reliable too. All the above mentioned 32GB Pen Drives are compatible with Windows, Mac OS and Linux operating systems. If you have anything to ask or could not make up your mind on which 32GB pen drive to buy then you can ask me by leaving a comment below. Thank you for Sharing, As while customizing pen drives the storage details also maters as if he storage is less than the used as will be less. My phone is redmi note 3 and since i am using both the sims i m having troubles with storage space. Is there any solutions ? What about the “2 sim + sd card ” hack ? Anyway i have ordered a Sandisk Ultra Dual 16GB 3.0 OTG pendrive . Can it be connected to computers having USB 2.0 port ? Frankly i have not tried these hacks and i don’t recommend them too either as it can damage your phone. And Yes Sandisk Ultra Dual 16GB 3.0 OTG pendrive will work on Computers with USB 2.0 ports.